I design uniquely beautiful pieces that celebrate nature and empower and honor feminine strength, mystique and power. Each piece is a recipe, an alchemy of stones and elements that are designed for a specific purpose. Each piece has a story. 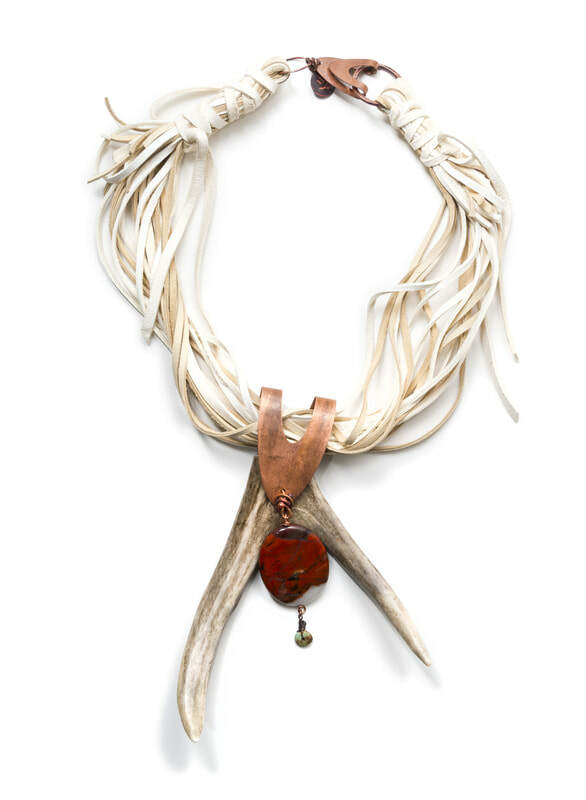 Warm copper, natural stones, leather, bone, antler and horn woven together to reflect the wilds of Montana as well as our ancestral nature. I connect with a time when personal ornament and sacred objects had spiritual energy and meaning and I believe in this period of human history, there is a deep need to reconnect with ritual and sacred objects; to tune into the earth, each other and ourselves. My designs encourage women to find their wildness, their heart and their voice. My pieces range from the tranquil to the bold. They are formed with relatively primitive tools, yet I am diligent about craftsmanship. My pieces are not highly polished or mass produced. I make each and every one, choosing materials that convey my respect for nature. Copper is warm and earthy... easily formed and adaptable but strong and enduring. The stones I choose have their own energies and I combine them with intent. For instance, Carnelian can inspire courage and leadership as well as balance the body. 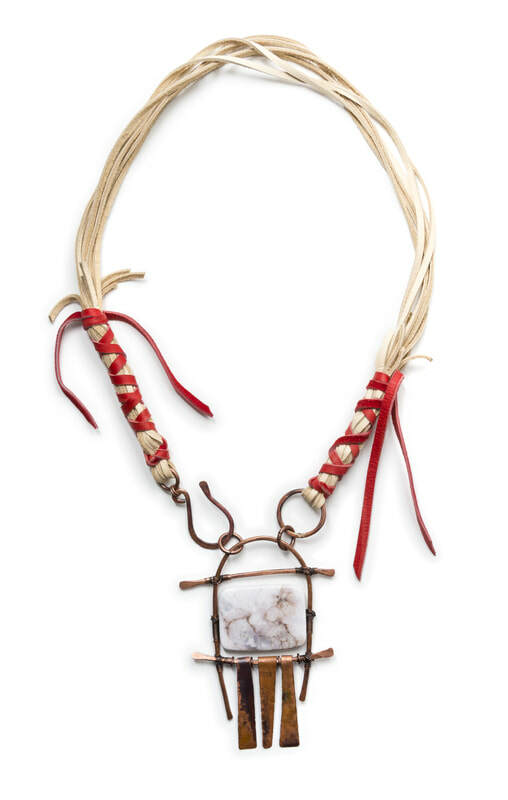 While Moonstone can connect us to the wisdom of the ancestors! In the collection of Kathy Burk, Bozeman wisdom of our ancestors. I use animal artifacts in my pieces like leather, bone and horn. I do this intentionally and with a deep reverence. These materials have power. They tap into the earth, sea and sky. In translating the details I find in nature, my pieces reflect this amazing place I call home, whether it’s the crystal clear water of Glacier, the deep red clay of the Pryor Mountains or the soft blue of the Big Sky. 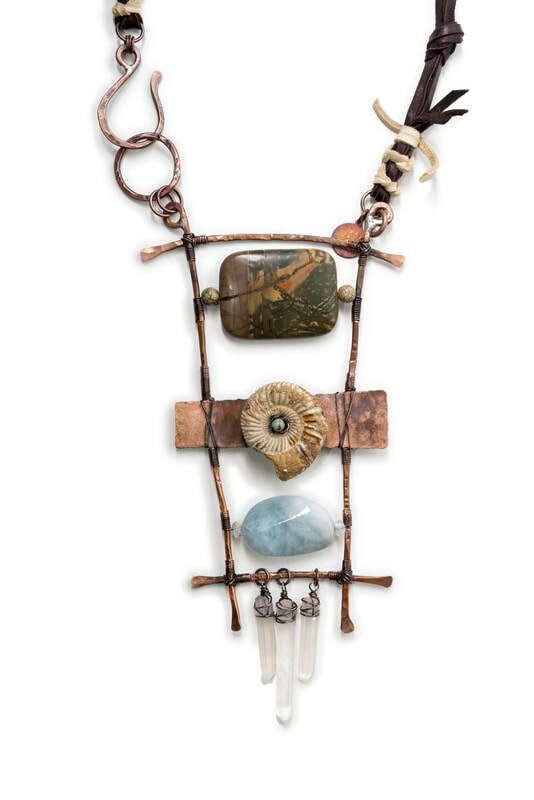 I want every piece I create to evoke the spirit of the Montana landscape as well as the spirit of the woman who wears it.